Although first-grade readers are bound to love the fun, fictional stories that are written for their age group, they are also sure to be fascinated by the true stories about the world around them. Incorporating nonfiction into first-grade reading encourages curiosity and helps prepare students for the reading they will do later in their academic careers. Here is some insight into why nonfiction reading is important for your first-grader in Pembroke Pines and how you can encourage him or her to embrace it. Why should first-graders read nonfiction? Nonfiction is a fit for first grade students for a number of different reasons. Exposing first-grade readers to a range of different types of texts is part of teaching them to love reading, since it lets them finds the stories that appeal to them the most. Nonfiction reading also brings facts and ideas about the world around them to life, so they increase their knowledge and develop a natural curiosity about the world. When kids move through school, they will face increasing demands to read nonfiction texts in their classes. Getting them exciting about this kind of reading when they are young will make future homework sessions a lot easier. How can I get my first-grader excited about nonfiction? There are several things you can do to make your first-grader reach for nonfiction. First, talk to them about why nonfiction is important and how it can help them learn more about the people and places that are interesting to them. 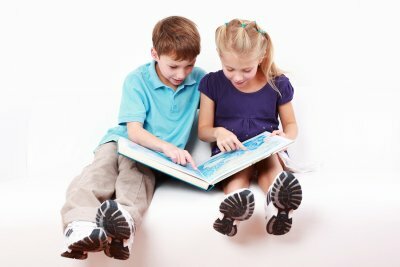 Discuss what nonfiction topics interest your child and go to the library together to pick out titles. If you’re planning a trip somewhere, such as a day at a museum or a vacation, pick out nonfiction books that teach kids about some of the exhibits or the places you’ll be visiting. By connecting nonfiction to your child’s world, he or she will get to experience the excitement of immersive learning.